No more champagne, and the fireworks are through. It is truly 2014 and back to work. We have indeed been busy. We have a new installer. Actually, it is just a lightweight download that will fetch the latest version from our servers and start the installation. Opera, being popular in developing and low-bandwidth markets, have seen frequent failed installations due to network and other problems. The new installer will retry downloads if there are problems, ensure the latest version is always the one installed, and enhance security of the installation process. There should be no need to redownload the network installer. If you have one laying around, you can launch it and always get the latest version. 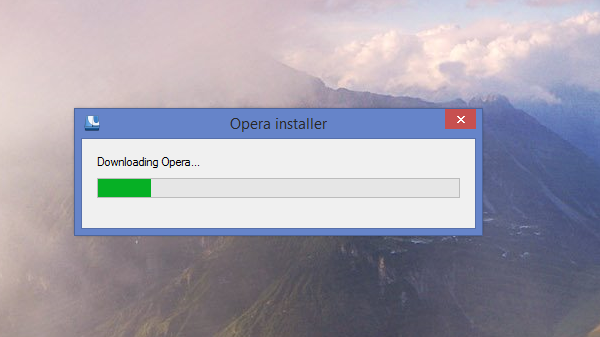 If you want to update Opera, it will happen automatically or by checking the About page. The full installer will still be made available for offline installations. Why you would ever do an offline installation of a web browser is beyond me, but there is always that one case where it is needed. In other news, Mac will no longer prompt for access to your Address Book data. This was previously used to enhance autofill suggestions. However, the system’s permission prompt dialog was confusing and lead users to believe their personal data were used for other purposes. We are very eager to hear your feedback on any installation problems (or success stories) related to the network installer in the comments below.